Where Can I Get Organic Weed? And other questions about the environmental impact of cannabis cultivation. Short answer: Cannabis won't be eligible for USDA organic certification until it's legal at a federal level. Back in the day, you assumed that pot was grown more or less organically, just from the vibe of the dready guy who sold it to you at the very least. Now that legal weed is a $10 billion industry, and folks like John Boehner, the straight-laced former Republican speaker of the U.S. House of Representatives, are looking to plow into those profits, it’s not unreasonable to imagine that industrial weed might have more in common with industrial agriculture than with the old-school backwoods pot grower ethos. For the most part, it does. But unlike the rest of agriculture, there is no federal oversight of marijuana production (because the feds don’t recognize it as a lawful crop), which means there’s no one telling industrial growers which agrichemicals can and can’t be used. This lack of federal involvement in the legal marijuana industry also means you won’t find USDA-certified organic weed on the shelf at your local dispensary. But it does exist under other names. The question of how to obtain organic weed brings up a slew of other questions, which we unpack below. What Are the Environmental Impacts of Cannabis Cultivation? The answer varies depending on the context. Old-school guerilla-style plantings in Northern California aren’t as “green” as you might imagine. While these growers may be less inclined to spray agrichemicals, their methods are irresponsible in less obvious ways. Illicit plantings are often on steep land where erosion is problematic, for example, and may require unsustainable quantities of irrigation water from nearby streams. The negative impacts of this kind of outdoor cultivation on watershed health have been well-documented. Legal marijuana cultivation, on the other hand, typically occurs indoors in tightly controlled settings where photosynthesis is stimulated not by the sun’s rays, but by huge light fixtures that slurp energy from the grid day and night. Water use is relatively modest with indoor cannabis cultivation, and fertilizers and pesticides can do little damage to the environment when contained in a grow room, but the greenhouse gas emissions associated with the all those grow lights is worrisome. The number of legal outdoor farms is starting to grow, in part because the cost of electricity to produce the crop indoors is so steep (and an unnecessary expense if your main reason for growing indoors is to keep the plants hidden from the authorities). To obtain maximum yields, marijuana requires copious irrigation, fertilizer, and often pesticide use, so it’s likely that legal outdoor farms will have all the environmental impacts associated with comparable high-input crops, like corn. What Are the Health Impacts of Smoking Weed Grown with Chemicals? While there is little evidence of people getting sick or dying from consuming marijuana laced with pesticides, shockingly high concentrations of toxic chemicals have been found in legally-obtained samples. One study found pesticide residues at levels above 100,000 parts per billion – several orders of magnitude greater than the what is considered safe for consumption. In 2016, officials in Colorado, the first state to legalize recreational marijuana, found that 49 percent of samples tested contained unapproved pesticides. There have been scores of cannabis product recalls due to pesticide residues. As you might expect, obtaining federal research grants to study pesticide use on a federally-banned crop is difficult. The federal status of the plant also makes pesticide regulations, which are typically set by the EPA, full of ambiguity. Lacking a national framework, a patchwork of state-level regulations have emerged regarding both pesticide use and the testing of marijuana products for consumer safety, but implementation has been slow and spotty. Why Can’t I Find Legal Cannabis with the Organic Seal? Organic products have been regulated at the national level for several decades, rather than by individual states. The only way you can label a product as organic is to be certified by a USDA-accredited certifier; but of course the rules don’t allow illegal substances to be receive the organic stamp. So there will be no such thing as USDA organic marijuana until the feds legalize the crop. Naturally, there are no rules against growing weed organically, you just not supposed to label it as such. However, it seems many growers and dispensaries are openly flouting the USDA’s labelling rules – perform a Google search for “buy organic marijuana” and you’ll see what I mean – even though technically they could be fined by the USDA for doing so (apparently the agency has better things to do than enforce that particular rule). 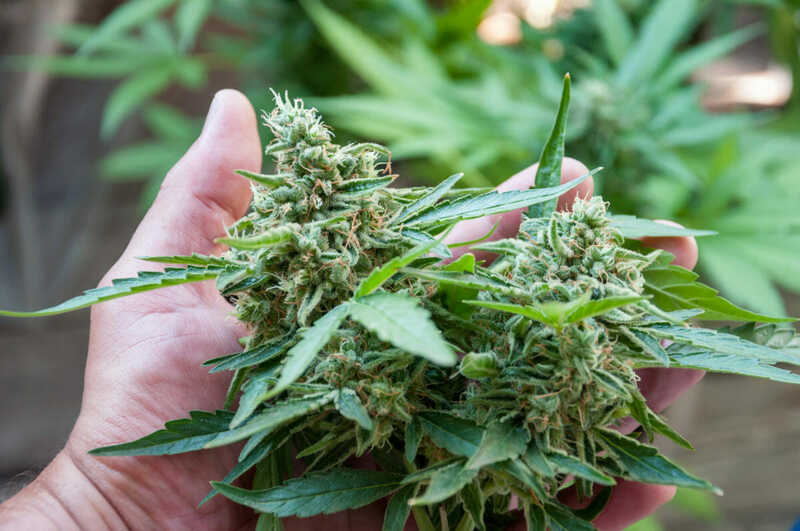 At least two companies are offering third-party certification for marijuana grown in a manner consistent with USDA organic standards, without actually calling it organic on the label – Certified Kind and Clean Green. These are a great place to look for organic marijuana options near you. Clean Green lists 108 certified growers and 21 certified dispensaries in six of the nine states that have legalized recreational marijuana thus far. Thank you for your advice in how to search for pesticide-free/organic marijuana. I’m looking to buy near San Francisco.